We all know how happy I am that cords have become cool again, I spoke about the cord jacket in this post and now I finally got a pair of cord trousers. I had this great pair of purple straight leg cords as a kid from Gap that I lived in for as long as I could until they no longer fitted and I was on the hunt for a replica of those. So I found the perfect pair after a long search shopping in Exeter after trying Zara, Gap and Urban Outfitters with no luck we saw these in Marks. I went straight for the purple obviously, classic. They are the perfect straight leg fighting, they are a little long but it looks cool rolled up I think. Best part was the price, I was shocked but they are only £19.50. So if you are looking for some staple cord trousers this season I am recommending these plus there is 6 colours to choose from. Styling wise I have one thing on my mind at the moment, stranger things! After we re-watched season 1 and the release of season 2, the late 70s early 80s aesthetic is all I can think about. Katie from Steal the spotlight has a new YouTube series around the costumes on iconic shows and films which began with Stranger things and an interview with the costume designer who explained that a lot of the obvious iconic 80s trends (e.g. neon and leg warmers) didn't become relevant to the late 80s especially outside of the main cities hence a lot of the style in Stranger Things like the colour palette and cords are usually associated with 70s style. At the moment I'm only buying things if they vaguely resemble something Nancy Wheeler could wear, with my own take hence the purple too. Next I'm just on the hunt for lots of big knits in the earthy tones, a mustard or orange. Something I little bit different tonight, I wanna talk about films a few I've seen recently that I can't stop thinking about and a few I am super excited to see. I'm sure you all know how obsessed I am with David Lynch, the other week I went to see David Lynch the art life which left me feeling even more in awe of his work than I was before. I am always inspired by his aesthetic especially that of Twin Peaks. The art life is essentially a biopic but obviously its so much more than just his life story. Some essential viewing for any of us into film, art and Lynch. 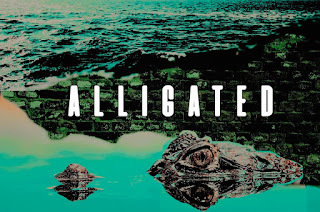 Sticking with the Lynchian theme I wanna talk about Alligated, a short film inspired by Lynch and 'It follows' a horror that's next on my to watch list. 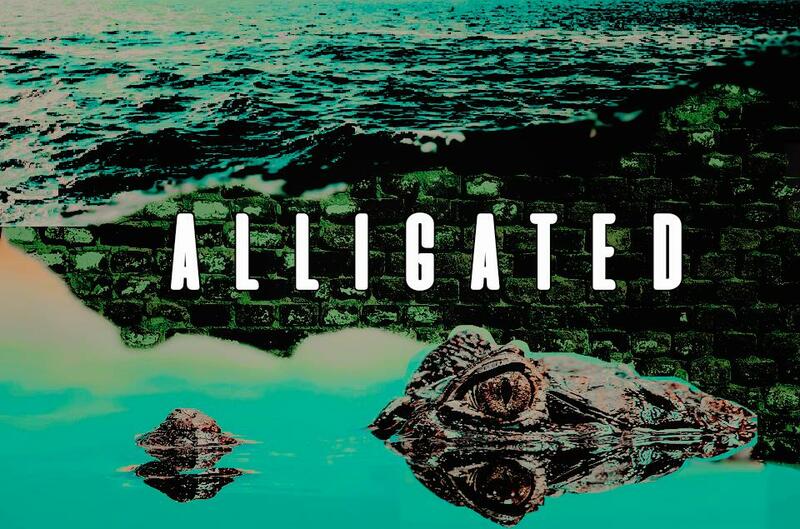 Alligated follows a strange young boy obsessed with crocodiles and alligators who is then accused of murder. A young woman sweeps him up to help him hide away, but are her intentions good? This film aims to look at the relationship between two different characters on the same scale. How do we view people who are different to us? Who can you trust when things don't make sense? Sounds good right, well the crowndfunder page just went live so please take a look at the trailer, more info and even donate to help fund this wicked new film. I'm sure you'll here loads more about it from me over the coming months. Now two films I am so excited to see at the cinema are I, Tonya. If you haven't seen the trailer for this yet, go! I don't know much about the real life events this is based on but it looks amazing and I am just so ready for my love Margot Robbie's true acting skills to get the appreciation she deserves. Finally I wanna mention Lady Bird, which is Greta Gerwig's directorial debut. I first saw Greta Gerwig shine in 20th Century woman which I mentioned a few times on here and is still one of my favourite films. Really impressive, thought provoking 'coming of age' films is probably my favourite genre of film if you can group them all together like that and especially one that is directed, wrote by and staring amazing females I know its gonna be important and so far the reviews are looking amazing. The slogan tee has been a huge trend for quite awhile now but its something I've only now bought into, as I was always looking for slogans I actually agreed with or resonated with, so the feminist and political ones have been my faves. 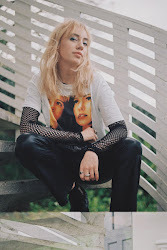 Although it doesn't stop just with the slogan tee I am currently obsessed with graphic tees in general from lusting over the Topshop Stranger things collection (I still haven't started season two yet) to vintage band tees. I am also rotating between a back to the future baseball tee and a Prince top I have. When it comes to styling graphic tees now, any skirts or trousers I buy have to be able to work just teamed with a graphic tee from prince of Wales check trousers, velvet wide leg trousers and loud skirts. As I teenager I pretty much lived in the graphic tees and different jeans, even a collection of the colour hand print ones from Blue Banana but now I am loving trying to avoid wearing jeans as much. This skirt I picked up for only £7 in the marks sale and I love the wrap detail which makes it a little bit more flattering, plus blue is a colour I've always been told suits me but I don't have enough blue in my wardrobe. With the finishing touch of this season must have, a sock boot. These ones are from Primark at around £10 with the perfect height heel, of course I had to get the in metallic. It has weirdly been a super mild October here in Cornwall but with a leather jacket over the top outfits like this are what I am living in while trying not to wear jeans as much and resisting the need for knitwear so far. I do wish I had got this top around May time when we were preparing for the last general, would have been perfect for political posts and wearing canvasing but even when we don't have a general election coming up its still so relevant and important to be politically active (look into joining your party) and keeping informed. Its that awkward time of year when its freezing cold in the morning but can often get warm mid-day and its just impossible to know what to wear. So I've been getting back into layering, the tights and under layer tops are back. I hate the approach we have as the seasons change to completely pack up our summer wardrobes, hide them away for next summer and that's it. I love pieces that can be worn in every season like this dress I got in the topshop sale. We all know I'm a massive bargain hunter and love sales shopping and I hate when people say "It's no good shopping in the sales alone because all the clothes are from the last season and can't be worn anymore". It's just not true, yes this dress it a summer dress (note there is a massive cut out back too) perfect with tan sandals and a denim jacket but because of the black elements and yellow being such a huge colour this season I can easily carry it through to this next season. Florals aren't just for Spring. I also picked up my basic winter boots in the summer sale at Next. Next sales are amazing for multi seasonal pieces as they seem to be such a classic shop that will still have boots, mac coats etc in the summer collection. Finally lets talk about this jacket, corduroy is such a marmite fabric I feel but for some reason I've always loved it. I remember having a pair of burgundy cord trousers from Gap when I was like 8 that my mum loved but they were super uncool at the time but finally its time has come. I love these style jackets, they have such a classic vintage look to them and are pretty practical but now look cool and I love it. The thickness of this particular one isn't ideal but its perfect for this weird transitional weather.